It seems like Christmas time more than any other time of the year friends, family, and co-workers want to gather together and spend quality time together. Although all the gatherings are great for friendship building and memory making they can often be a drain on the budget. They don’t have to be though. 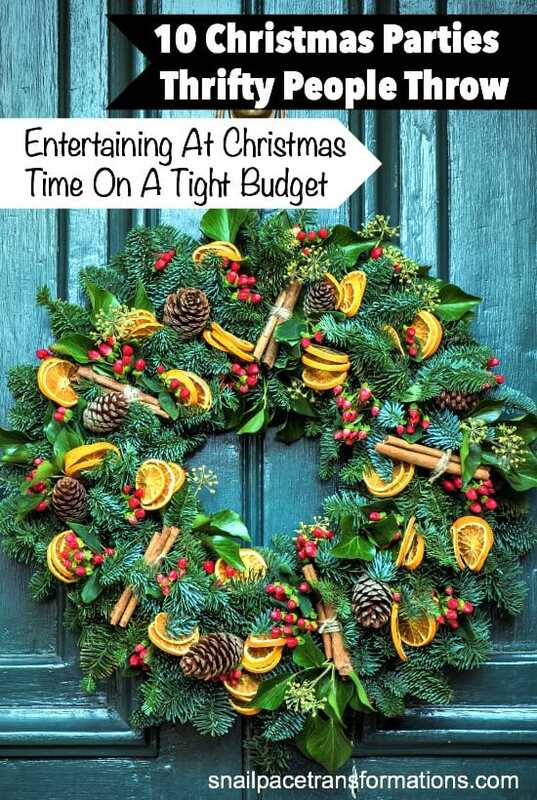 The key to entertaining on a budget at Christmas time is to keep the event simple, and a group effort. You knew a potluck would be on the list so I thought I might as well make it number one. You don’t have to do a traditional dinner potluck. You could make it a brunch potluck, or a dessert potluck. Perhaps even a hot cocoa and cookie potluck. This is a great one to play with long time friends and co-workers, since those that know each other best won’t be afraid to really get into stealing and picking humorous gifts to include, and it is those elements that make it fun. 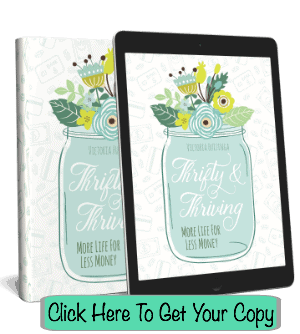 Encourage people not to spend a dime on the gift they bring. Set the guidelines on what type of gift should be included and what type you don’t want. For instance, I have been part of White Elephant exchanges that have asked for useful gifts only, as well as others that wanted the most unusual item you can find in your home. Start the exchange by verbally stating all the rules of the game, how many steals a gift can have, etc. I went to a Christmas Mug Exchange night once with a group of ladies from a church we attended. It was so much fun. They set the price limit at $5 and you could spend it just on the mug, or get a $1 store mug and fill it with extras if you wanted. If your friends are on super tight budget make it a dollar store, or re-gifted mug only gift exchange, so that everyone can swing it without busting the budget. We all met and one ladies house, who had hot chocolate ready for us, as well as hot water and tea bags out for those who were not hot cocoa fans (me being one of them). The Christmas Mug Exchanged worked a lot like a white elephant gift exchange, but the best part was after the exchange was over we all washed out our new mugs and then spent the evening drinking hot cocoa and tea out of them and chatting together. 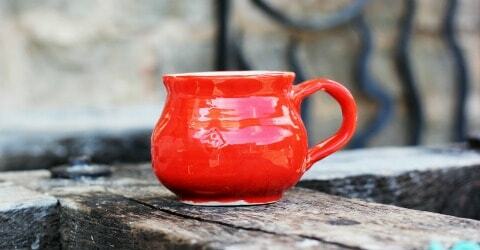 To make things less expensive for the host, you could all bring your own favorite teas and cocoa mixes along with you. Have one person pick out an Christmas Ornament you could all make for relatively little money spent. Send the most thrifty person in your crew out to buy the materials, and then split the cost between the group. Gather at whose ever house has the largest space for crafting and get to work making Christmas ornaments for your trees and catching up. This idea does not have to be limited to just girlfriends, you could include the children on this one too if you wanted to. A lot like number 4 but this time you make Christmas Cards. You could do handmade cards and split the cost, or everyone brings the boxes they got on clearance in January and their Christmas card list, postage stamps and other Christmas card supplies. In the second scenario you all go home with you Christmas cards done, and have had a blast catching up with friends while doing it. In the first you all go home with homemade cards to send out. In most towns where we live there is either a large Christmas display in the local parks or a neighborhood that really knows how to put on a Christmas light show. 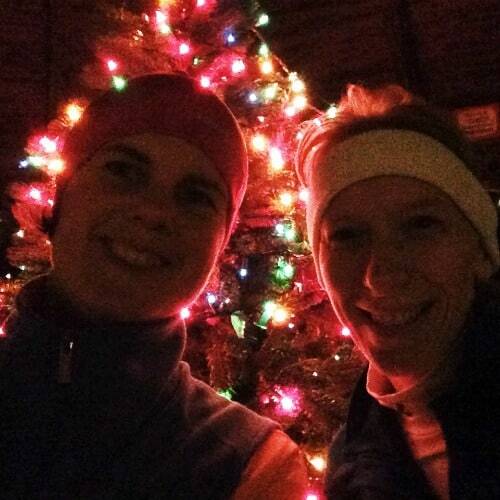 What I love doing is grabbing a friend and running or walking those displays together on a mild night. If you walk it you can hold a hot travel mug of something in your hands to keep you warmer while you walk. You can even bring the kids along, and make it a family night. Grab some great pictures for instagram, spend sometime with a friend and get a workout in, all for very little cost and perhaps even free. I am not a fan of cookie exchanges (I can hear the gasps now). I find them to be stressful and not helpful. I stress because I never know if people will like what I bring , and they are not helpful to me because I find myself taking home cookies we don’t like that go stale and often…..end up in the garbage…all the while my family begs me to make more of the cookies they do like, which makes me spend the time in the kitchen I thought the cookie exchange would save me. Here is my suggestion instead throw a “Cookie Sampling Night” have each guest bring enough individual wrapped and labeled cookies for each guest to sample one of, as well as a printed out recipe to place in front of their cookie plate. Each guest can either sample their cookie then and there while mixing and mingling with the other guests or take them home with them. A fun night for just the cost of a dozen or so cookies, labels and printed recipes, nothing wasted and friendship time gained. Plus you discover new cookies you like, and you don’t waste more than one of those you don’t. Sometimes the days from Thanksgiving to New Year’s are just packed. If this is you and your friends consider having your get together and gift exchange after the holidays are all done. The first week of January get together while others are exchanging gifts at the store, and exchange you unwanted gifts with one another . Yep, re-gifting brought out into the open. Place all the gifts you won’t use on the table and start drawing cards. That candle that gives you a headache might be your best friends favorite scent. Those chocolate covered chocolate beans you got and hate, might be treasure to another friend. This way these items won’t take up space for months until the next annual white elephant gift exchange. If you really loved and will use all the gifts you received, then you can at least save money by bringing something from an after clearance sale. 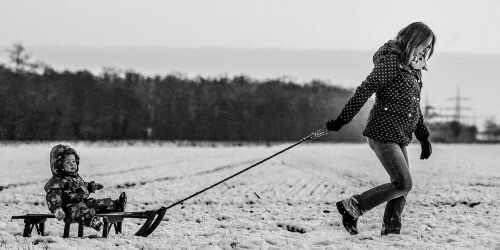 An inexpensive type of sled our family uses for flying down the winter hills with. Gather some of your favorite families together, and meet at the local Sleigh hill over winter vacation. Bring along a few thermos’ full of hot chocolate or coffee, and some cookies too. Grab your fellow bookworm friends and get a head start on gathering new titles for the new year. Give each person the same amount of tickets as they brought books as they come in the door and then once everyone has arrived and the books have all been placed on the tables let the book swapping begin. Bonus idea: Ugly Christmas sweater party with white elephant style prizes. I am sure everyone either already has a bad holiday sweater in their closet or can find one at a thrifty store. Have people vote for who has the most tacky holiday sweater, each bring snacks to share. Have you been to a low cost Christmas gathering you have loved? Share it with me in the comments below. 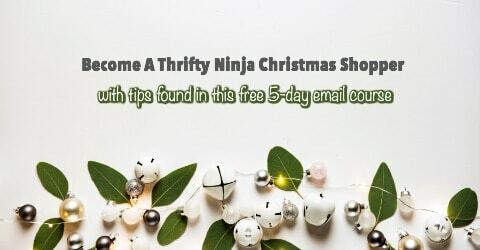 Head over my thrifty Christmas tips page and view all my thrifty Christmas tips in one spot. 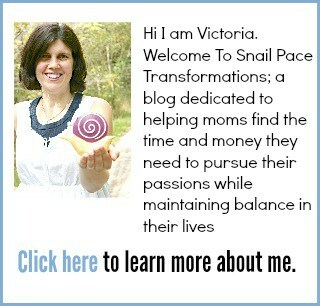 Follow Victoria @Snail Pace Transformations’s board Thrifty Christmas Tips on Pinterest. I want to do all of these ideas. They all sound like fun to me! Enjoying activities with friends and family is the best part! Love this blog post — what great ideas! I always do a wreath-making party with girlfriends, which doesn’t cost much if you can find a place to give you lots of left-over pine branches and you ask everyone to pitch in a few dollars for the wire frames and other supplies. Would you mind if I repost this on my blog? If by reposting you mean sharing a link to it on your blog than yes that is fine, and you may use the picture (with credit given) . If your mean copying and pasting the article (which I am pretty sure is not what you mean) then no as that is bad for SEO. I’m pinning this right now.